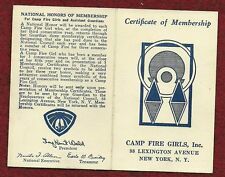 It'sA GIRL SCOUT CAMP PATCH. It's in the condition shown and would make an excellent addition to any collection. 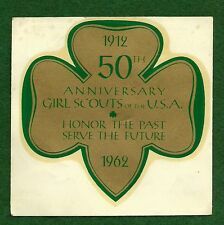 It'sA GIRL SCOUT COUNCIL PATCH. It's in the condition shown and would make an excellent addition to any collection. Rare Vintage 1983 Sealed Pecan Chocolate Chip Girl Scout Cookies Box . Not too often you run across a sealed box of Girl Scout Cookies from 1983. Unusual Pecan Chocolate Chip. 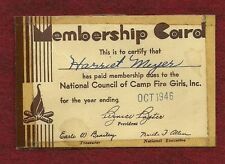 It's aCAMP FIRE GIRLS RING SIZE CARD.It's in the condition shown and would make an excellent addition to any collection. It'sONE OF THE FIRST NON-EARNED NATIONAL ISSUE PATCH SERIES. Vintage LIttle Brownie Cookie VIP Backpack Bag Tag (Girl Scouts). Condition is New. You are buying 1, I have 55 in total. Will work on shipping with buyer. Shipping for 1 is in a letter — non trackable at $.55, purchasing a bundled I ship as cheaply but safely as possible. Shipped with USPS First Class Package. It'sONE OF THE FIRST NON-EARNED NATIONAL ISSUE PATCH SERIES. It's in the condition shown and would make an excellent addition to any collection. It's 2GIRL SCOUT PENS. They're in the condition shown (both work) and would make an excellent addition to any collection. GIRL SCOUT PENS. 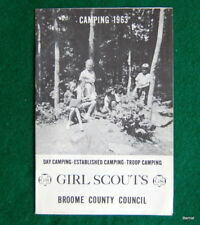 It's an ISSUE OF GIRL SCOUT LEADER. It's in the condition shown and would make an excellent addition to any collection. It's a2 GIRL SCOUT PENCILS. They're in the condition shown and would make an excellent addition to any collection. GIRL SCOUT PENCIL. It's in the condition shown, and would make an excellent addition to any collection. It'sA GIRL SCOUT PATCH. It's in the condition shown and would make an excellent addition to any collection. Excellent condition. About 5" tall. Unusual color combination for case. It's aGIRL SCOUT PEN. It's in the condition shown (needs refill) and would make an excellent addition to any collection. GIRL SCOUT PEN. 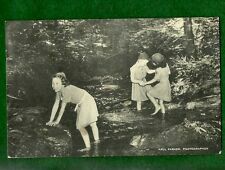 Made of Orlon which was very popular mid 1950- early 1960. Great condition for a 55-60 year old sweater!